Niti Aayog has been tasked with drawing up a list of non-core assets of various CPSEs, both healthy and sick ones, as the first step towards finance ministry's plan to monetise such assets and unlock value to shareholders. This is part of the overall plans of the government to lay down procedure and mechanism for monetisation of non-core assets of central public sector undertakings (CPSEs), which include mainly land and building. 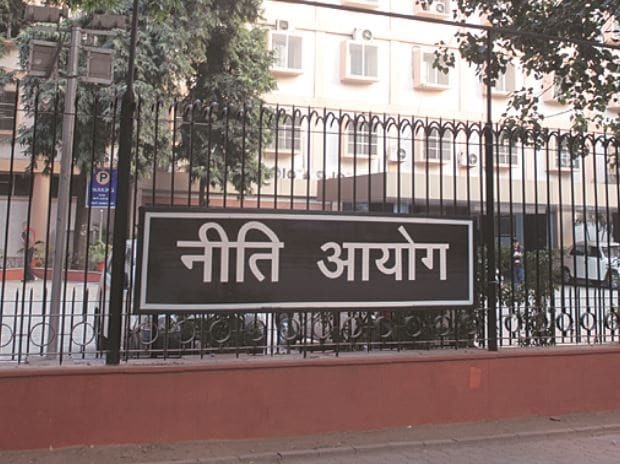 "Niti Aayog will draw up the list of non-core assets owned by CPSEs which can be sold separately after discussion with a consultative group comprising officials from administrative ministries, Department of Economic Affairs, Department of Investment and Public Asset Management (DIPAM)," an official told PTI. The process would take about six months' time, the official added. The report of Niti Aayog will be taken up by the alternative mechanism on disinvestment, headed by Finance Minister Arun Jaitley, following which the CPSE and the respective administrative ministry will further proceed with the monetisation process, the official added. "So far the disinvestment process was confined to a corporate level. Now, it will go one step down and monetise non-core assets of CPSEs to unlock wealth and generate value on equity for shareholders," the official added. It is pertinent to mention here that in 2016 Niti Aayog was also asked to draw up a list of CPSEs which could go in for a strategic sale. It has already identified about 35 CPSEs which could go in for outright sale. The Union Cabinet had last week approved laying down of an institutional framework for monetisation of identified non-core assets of the CPSEs under strategic disinvestment and assets relating to immovable enemy property under the custody of Custodian of Enemy Property for India (CEPI). Explaining the process, the official said the Cabinet approval for asset management framework would be applicable in four cases -- the sale of non-core assets of CPSEs identified for strategic disinvestment, sale of immovable enemy property land which are not under litigation. Enemy property refers to the assets which were left behind by people who migrated to Pakistan or China and are no longer citizens of India. It includes the sale of non-core assets of any other CPSE after approval of competent authority or the administrative ministry and sale of such assets of sick or loss-making CPSE. With regard to those CPSEs which are candidates for strategic disinvestment, the official said such companies would have to first list out the non-core assets which are to be hived off separately before the strategic disinvestment process starts. "The enlistment of the land assets would have to happen first before the strategic disinvestment process starts. Once the non-core assets are carved out, the sale of such assets and strategic disinvestment process can go on simultaneously," the official said. DIPAM, after consulting ministries and CPSEs, has already identified a huge tract of land and other assets of nine state-owned companies which will be hived off before they are put on the block for strategic sale. The government already had already given in-principle approval for the strategic sale of 24 state-owned companies. The independent external monitor set up for strategic disinvestment shall oversee the process of asset monetisation. The approved framework shall be reviewed after two years for instituting any change including delegations on financial limits.